The Class of 1971 Picnic was held at the Herreshoff Museum in Bristol, RI. 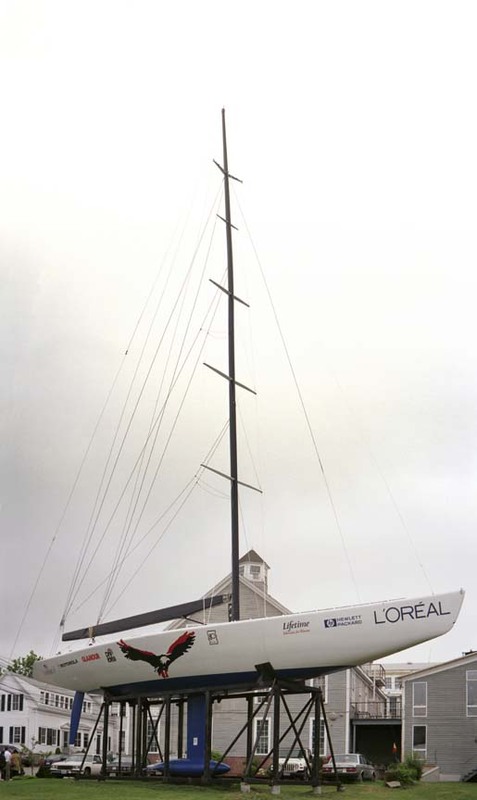 As we stepped off the bus at the Herreshoff Museum, we saw the Defiant - the second of four yachts built for Bill Koch's successful 1992 America's Cup bid. The Defiant dwarfs the people at its base, as well as the automobiles and even the buildings nearby. Susan and Leon peer across the bay at Bristol. They were better prepared than we were - we didn't think to bring binoculars. 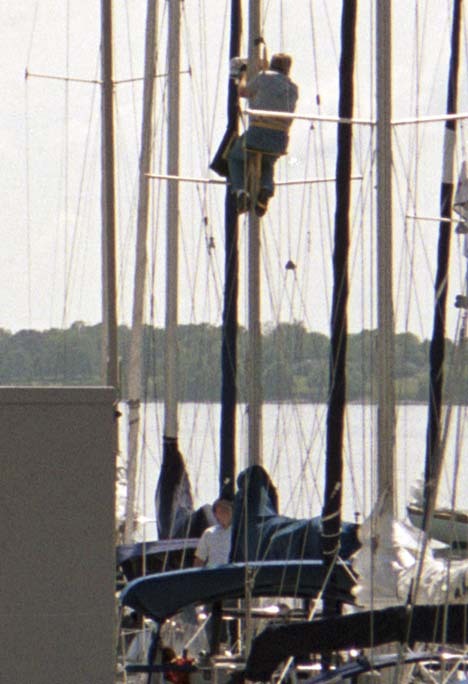 Note the pier made of granite. The curbs in New England are made of granite, too. 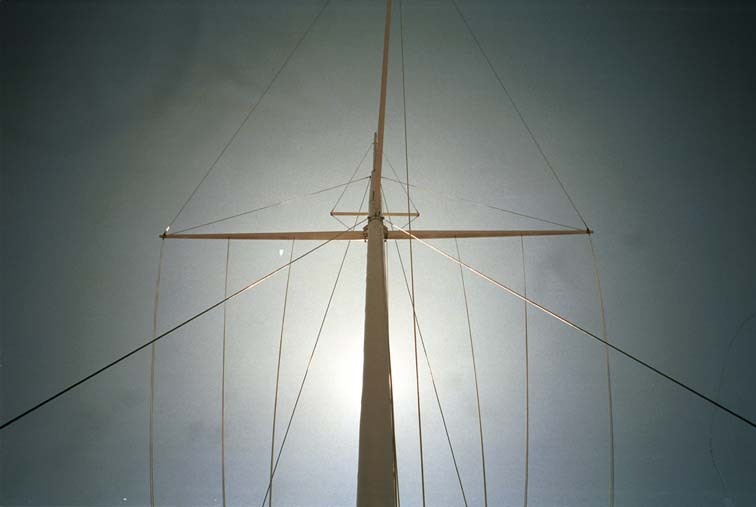 This mast is part of a new stucture being built by the Herreshoff Museum. 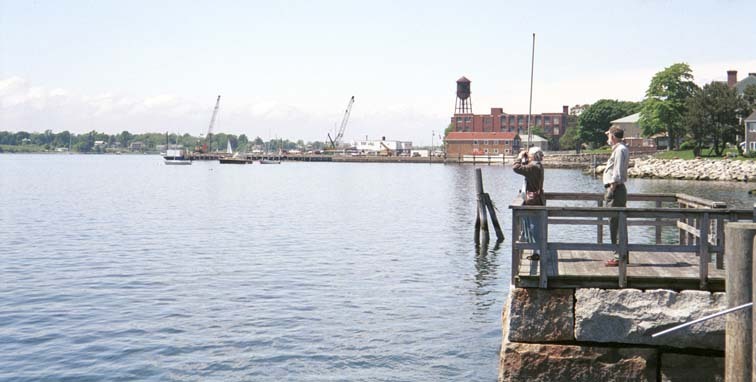 This looks to be a launch track, perhaps the one used by the Herreshoff factory. 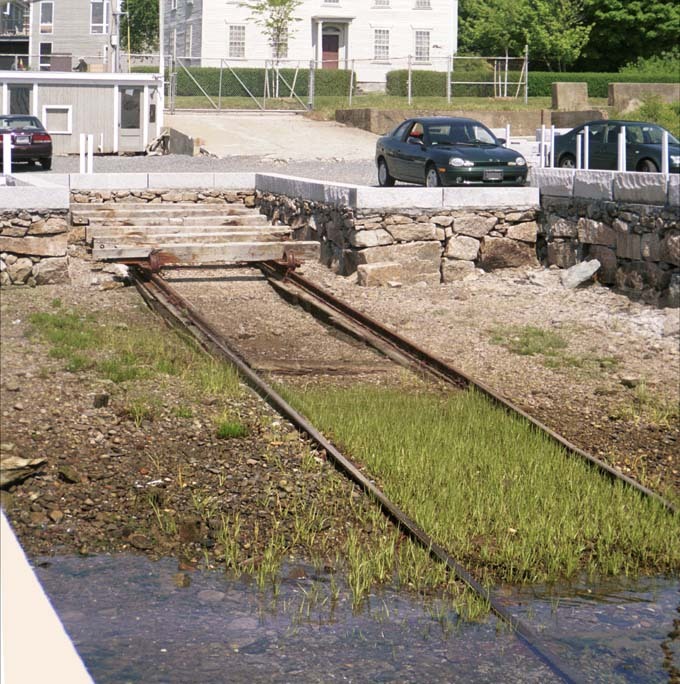 Renovation being done at the docks has carefully avoided this track. 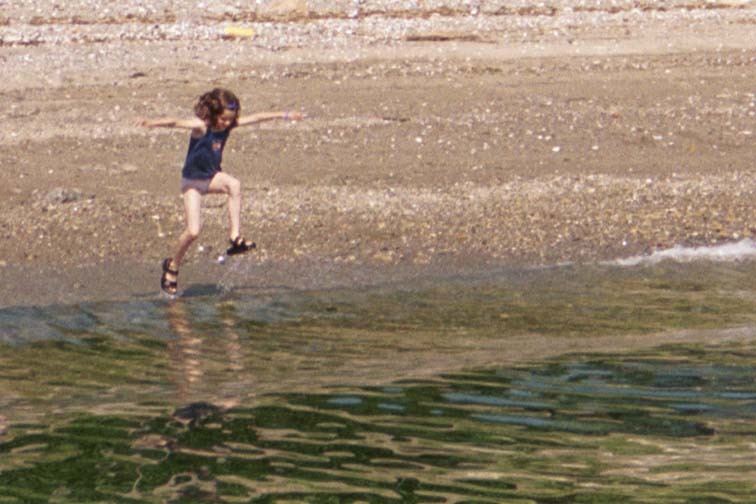 A little girl frolics on the beach. 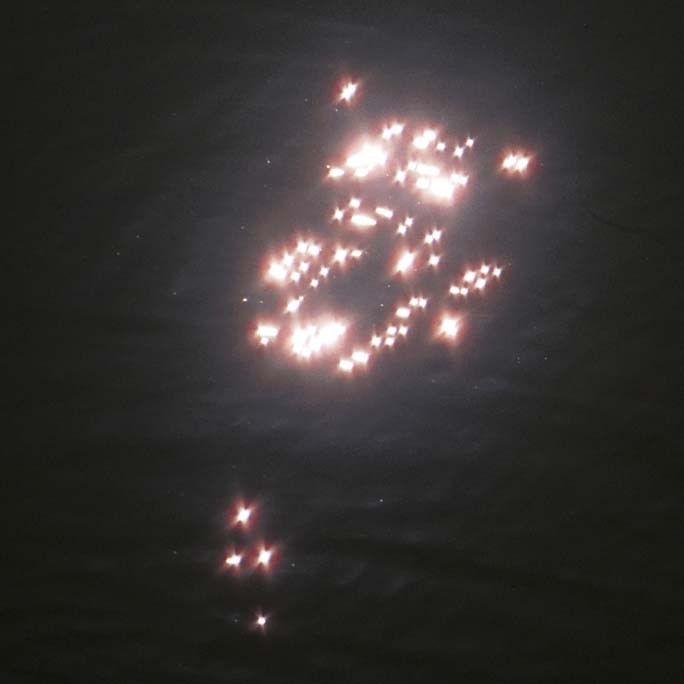 Here is our local star reflected in the water.